Our cut and sew Custom Onesie is the perfect chill out and relax at home garment. Create your own Onesie with us online and indulge in the ultimate piece of leisurewear! Customize 7 different panels, including the front, back, sleeves, hood, hood interior and a custom label for your brand. A custom made onesie also makes a great animal or monster costume for Halloween, or any other costume party. 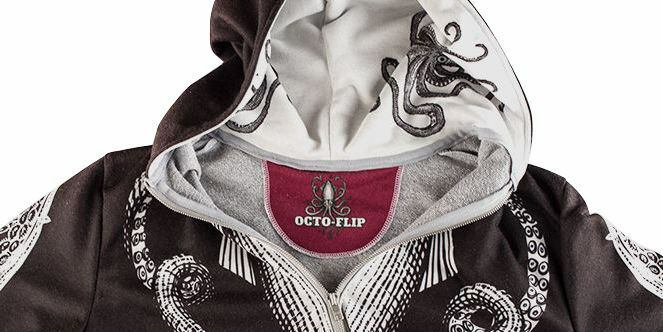 Show off your creativity and design your own personalized onesie. A fun and cozy cut and sew Onesie, made for you by our team of fashion experts. What bolder way to show off your creativity than with a full-body outfit, printed with your designs? Upload and create your design online, using our online design system, with full customer service support available at all times. 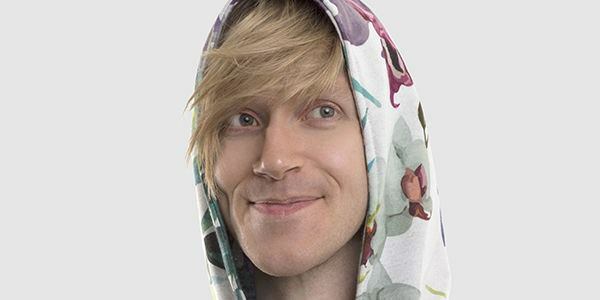 Create and receive your own printed onesie in just two working days. When you print our Custom Onesie, you are making a statement. You are creating an iconic piece of clothing that is completely unique to you. This is why we love working with designers so much, as together, we have the opportunity to design and create beautiful customized apparel, which stands out in the world. We use our Vintage Loop Back Jersey for printing our Custom Onesie. This solid fabric is soft and comfortable with some stretch and a slightly mottled surface, which adds a retro touch. It has an off-white face and a grey marl back, woven from fine grey thread, which makes it a pleasure to print on and wear. Colors will look bold, bright and stylish. Start your own onesie brand, with our custom labels in the garment. This bold, sewn-in label is the perfect way to promote your brand, or even add a personalized message for the person you’re designing it for. Made from the same soft Sweater Fabric as the rest of the Onesie, this fabric label offers great color and won’t tickle or scratch your skin. Perfect for building your fashion label, custom labels will help you grow your business. When you are rocking the perfect all-in-one outfit, who needs to accessorize? Style these cozy jammies with your favorite slippers, hot water bottle and duvet. Whether you are relaxing on your sofa, or hosting a sleep-over, a custom designed onesie is the outfit to be seen in. You'll be the envy of your housemates in this cozy one-piece. Layer it up with your favorite oversized soft tee and boxers. Or don't bother, no-one can tell if you're naked under there. Accessorize with the complete F.R.I.E.N.D.S box set and a pizza. My design looks great on the fabric. I am going to win the best aunt award! Yes it is! Our personalized onesie is a loose fitting soft garment that is great for all genders. Our onesies are made to be relaxed fitting and comfortable. If you are looking for a more fitted look, order one size smaller to ensure a good fit. 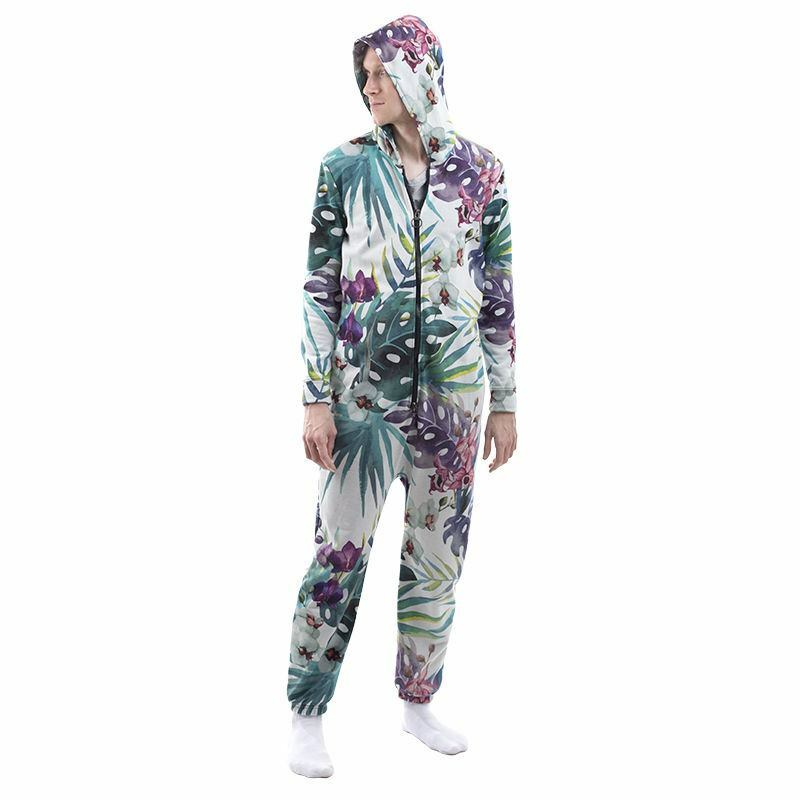 What is the fit of this onesie like? 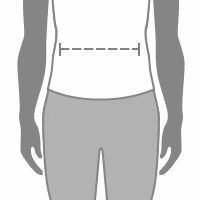 Our designer onesie is cut with a low drop crotch, which ensures a comfortable fit no matter how tall you are. The gently elasticated ankles prevent the legs from riding up, and the body is loose and roomy, with a gentle drape. The perfect onesie. Unlike many other cheaper, mass-produced onesies that have only side slits, our cut and sew onesie has soft interior pockets made from our soft Silk Sensation fabric. Perfect if you need to keep some loose change on you to pay the pizza delivery guy! Get cozy browsing our selection of independently designed onesies, created by Contrado Creatives. Our Onesie is designed to be a loose fit to allow for other clothes to be worn underneath. The crotch is quite low to help with ease of getting in & out, and with movement and bending. Our model Elliot is 6'3" with a 37in chest, 32in waist, and wears a size Large.